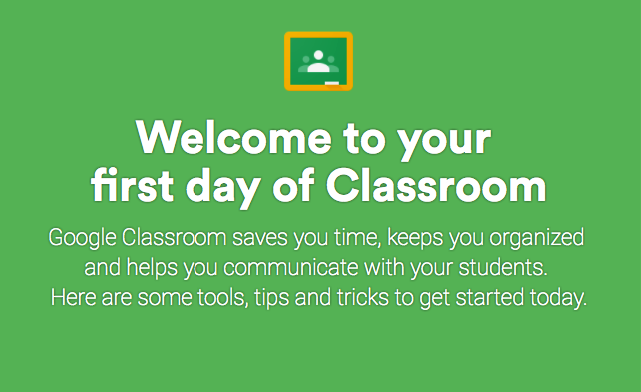 Google Classroom is an excellent educational platform to use with your students in class. It provides you with a virtual space where you can organize your teaching materials, create and gather assignments paperlessly, communicate with your students and provide instant feedback. Students can use it to view their classes, collaborate with their peers in real time, and access and review their assignments. We have already shared a number of interesting resources to help you make the best of Google Classroom in your teaching which you can access from this page and today we are adding this excellent resource from Google for Education. 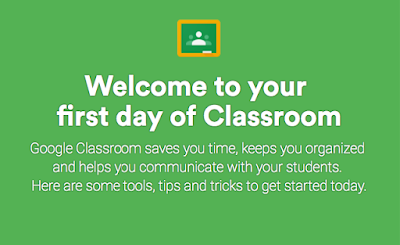 In ’Welcome to Your First Day of Classroom’ you will find a number of video tutorials, visual guides and tips on almost everything you need to know to tap into the educational potential of Google Classroom. You will get to learn how to set up a class and add students, how to assign and grade work in Classroom, how to reuse your syllabus, how to annotate assignments and many more. There are also free downloadable PDF guides and you can even join live Classroom training sessions to learn how other educators are using Classroom. We invite you to check them out and share with your colleagues.